This sturdy squirrel feeder is built to last. 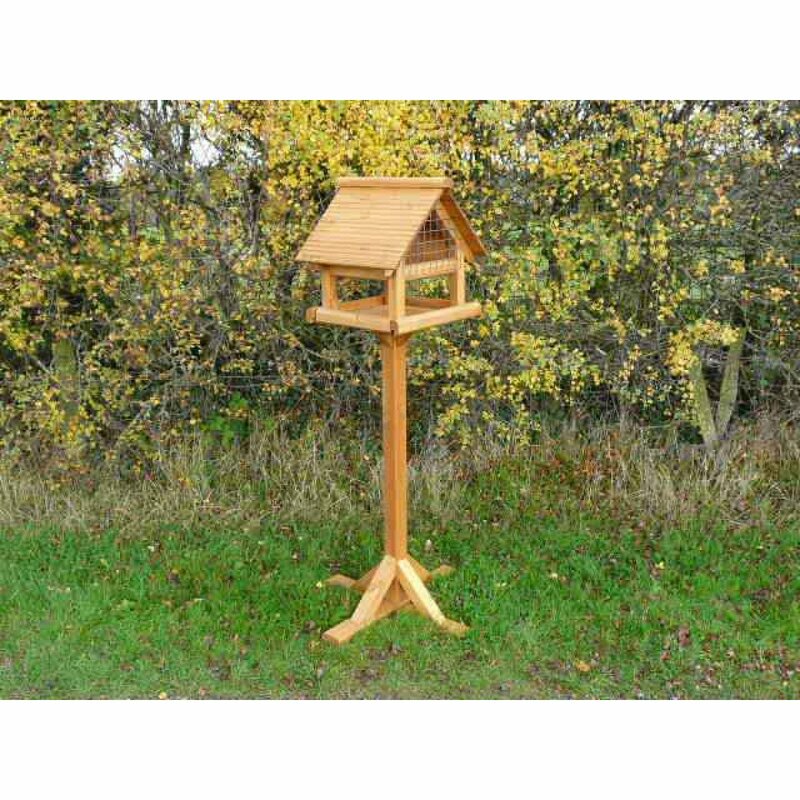 Made from solid Redwood timber, the lid has a corros.. 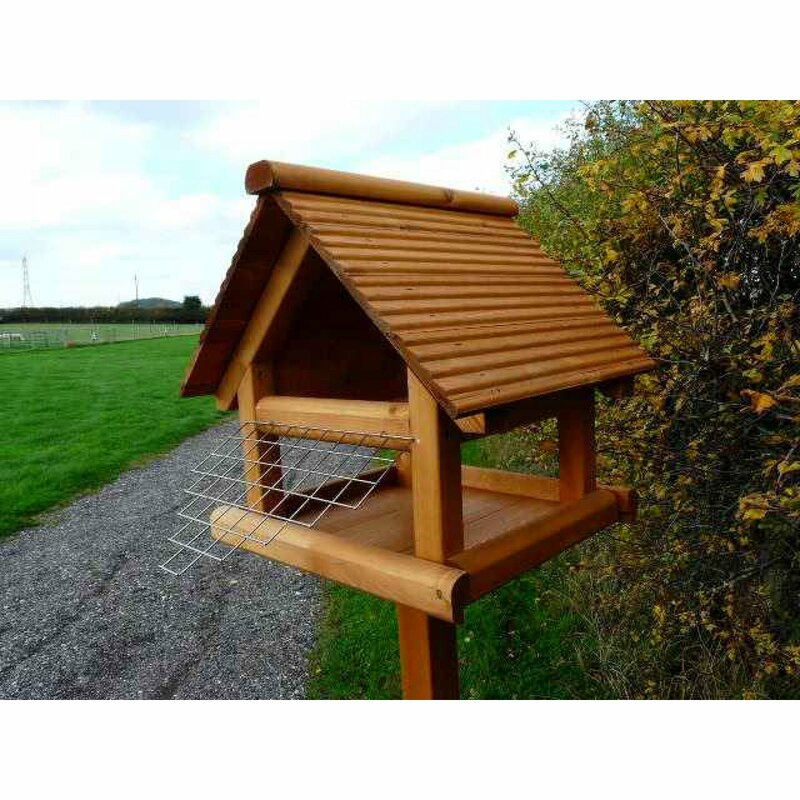 The old problem of larger birds stealing the food from the smaller ones on your bird table is fixed with this clever design. We have added a secondary level in the roof section, which is covered by a caged front only large enough to allow the smaller birds inside. The larger birds get to eat the bottom level food, and the smaller ones are left with their own food in the top section.